Happy Friday guys! We hope the week has been rewarding enough. In case it hasn’t, we’re back as promised with some weekend challenges and rewards. New uk bonuses coming your way all day, but this time we’d rather share the news about some slots tournaments and raffles, since these result in real money prizes. As usual, Luxury Casino, which is one of our top favourite casinos, is inviting you to join them for the weekend and weekly promos. 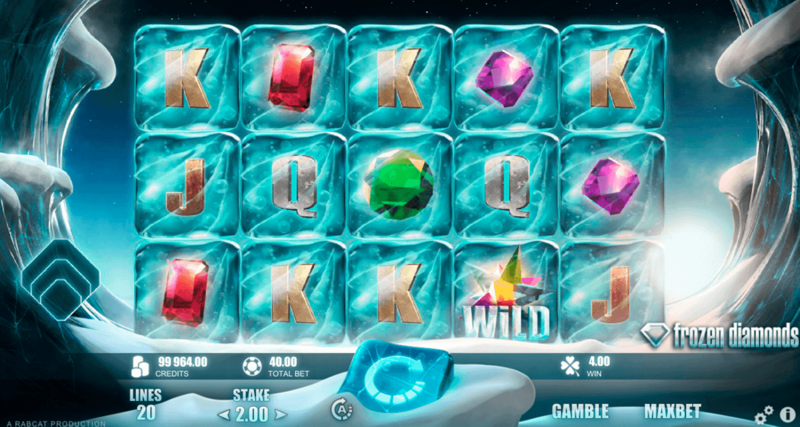 First, since the weekend deserves a proper celebration, the uk casino is proposing a new challenge with Frozen Diamonds slot from Microgaming. Until next Thursday you can choose to wager on this particular slot game and aim for the first 5 wagerers positions. These top five players will be rewarded with €£100 daily cash. The slot game is a smooth, classic type of video game, all sparkly elements, you can trigger 5 or 10 free spins. Stay cool and aim for the £100 cash every day. In case you can’t choose this game, you can place your bets on Spring Break instead. Your wagering will still count for the results. Also, there is a minimum purchase rule, as always. You would have to make a accumulative deposit of at least €£20 to qualify. If you’re looking for some more weekend fun, you have another option at Luxury Casino. This weekend only you can join the Zeus Ancient Fortunes raffle and aim for the same daily cash prizes. This time, however, you are the subject of fortune indeed, since winners are randomly chosen and credited with £100 cash every day. Luxury team will be picking 10 random players to win the prizes. If you don’t have the opportunity to play Zeus Ancient Fortunes, you can go for Avalon instead. It seems there will be a promising weekend indeed! Either casino promo you choose, you have a chance to enjoy some nice slots spinning and aim for some quite generous daily prizes.